Liam has been kidnapped and Ella and Frederic have a plan – The League of Princes must be reunited. Their first mission is to stop Briar Rose from forcing Liam to marry her. When that doesn’t work, the League finds themselves in the dungeon. Liam agrees to recapture the Sword of Erinthia from the Bandit King in exchange for his friends’ freedom. 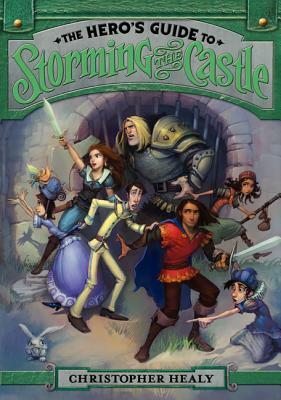 Together again, but working under the constant threat of re-imprisonment, the League develops a plan to scale the Wall of Secrecy, cross the Moat of A Thousand Fangs, enter Castle von Deeb, unlock the Vault o’ Fine Loot with the trigger switch in The Snake Hole to recapture the priceless heirloom. Complicated and convoluted, the plan unravels. At times it involves trolls, dwarves, bandits, gnomes, warlords, giants, clowns and snakes. Never smooth, but always developing the many secrets, arguments and twists in the plan will keep you eagerly reading and giggling through to the very end. The Princes Charming are never efficient and yet they persevere. They may be unlikely heroes, but because they are devoted, loyal friends to the end they will win your admiration. At the crossroads they each take their separate way, yet readers are certain the League of Princes will be called together again. Maybe this time they’ll get it right?!? If you haven’t read The Hero’s Guide to Saving Your Kingdom yet – here’s why you should. The funny details, the captivating characters combined with just a pinch of suspense will pull you in and make you wish for more when the end is reached. So Frederic, Gustav, Liam and Duncan all got lumped together as one “Prince Charming.” That’s a bit of a problem. First of all it is annoying to be known far and wide, but …not really because on one know your name. Second of all the stories are not fully accurate or completely flattering. Thirdly, “the happily ever after” thing isn’t really so. One thing leads to another. Eventually the four princes meet in their attempt to rescue Ella (a.k.a. Cinderella) and thwart the plot of the evil witch. “I think it’s rather snazzy,” said Frederic. Liam furrowed his brow. “Is that ‘Ha’ as in, ‘How silly of you to ask; everyone knows I’m the best swordsman in the land?” he asked hopefully. 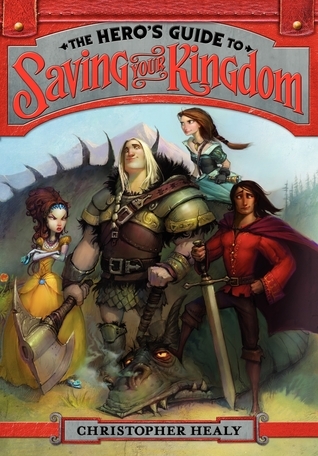 A Hero’s Guide to Saving Your Kingdom is laugh out loud funny from beginning to end. How can four “same name princes” be so completely different? Their personalities from gold fringy things, to burly buff fur-lined armor to do-anything-to-help-anyone-in-need-no-matter-what-the-risk attitude to the propensity for naming anything that moves (along with constant chatter) are garishly grating combination that fits together perfectly. Each prince has been fine as he is on his own, but none of them can succeed in their mission without each other. You’ll have to read to the very end to find out how it all works out…it’s not what you expect and that makes the book great. I’d love to know who your favorite character is and what parts tickle your funny bone as you read. Another great thing about this book is that it is the first – I can’t wait to find out what happens with Deeb, the Bandit King. Four years ago I began reading the Sisters Grimm. The series had begun awhile earlier so I read from book one to two to three and on with the dreaded words “to be continued” at the end. I found myself looking at the last words first just to see what the ending would bring. At first that was fine, I had books to read through. Later I would wait a year before continuing the tale … now the waiting is over. Readers may consume this series ravenously or in savory morsels; whatever suits them best. This year I have a group of students reading the series – “Mrs. Eaves, I couldn’t believe it when I got to the end ‘to be continued.’ How could they!” “I know,” I nod. ” It is an exciting story. You really want to know what happens to the character.” “Yyyyeeesss,” they sigh. 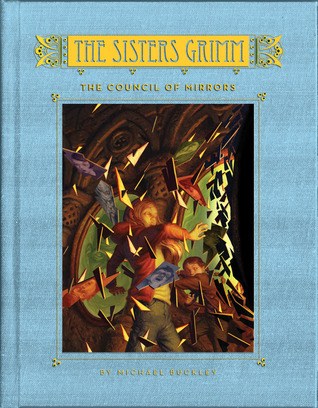 I went to the bookstore yesterday in search of the newly published, The Council of Mirrors. I knew it was supposed to be “the end” but I must confess I looked at the final words just to be sure. There I read, “THE END” and so I began. The twists and turns of exciting challenges and adventure continue in this volume. The pain of arrogance and pride remain, and so does the joy of devotion and friendship. Trust, self-confidence, commitment and determination are what it takes to win an epic battle. It is always that way. The end is very satisfying along with the years of after story. The Grimms and Everafters will be with us for a long time – in their orginal tales and in the rewritings. They have a lot to show us about ourselves and what it means to live well in our world. Read it and let us know what you think. You can find out lots about the books and about the author at the Sisters Grimm website here. Enjoy! 312 pages with an intriguing twist to an Anderson’s fairy tale – It will make you wonder… where is your place? How do your fit? For all Hazel knows maybe the changes began with a perfect snowfall of brilliant snowflakes – the morning of the snowball. Or perhaps they began when a magic mirror broke, hurling shards of glass to earth and changing all those they touched. Hazel didn’t know when, how or why the changes started, but she knows her best friend, Jack, changed suddenly. He was mean. So now the only person who helped her fit in, doesn’t anymore. She is alone, confused and sad. Now stories are all she has. She doesn’t fit in at home. She supposed to try harder to stay in reality and not pretend so much. She doesn’t fit at school. She supposed to learn the facts and know the rules. And now she doesn’t fit with Jack either – and he was the one who shared her stories and helped her know all the rules. What will she do? And then he’s gone. Vanished. Tyler, the one at school who calls her “Crazy Hazy” tells her he saw Jack go off in a sleigh with a snow lady. Hazel knows immediatly it is the witch from a story, her story. How can that be? Hazel decides to follow the white witch into the woods. She knows stories. She knows she has to. It’s the only thing Hazel can do because she must find Jack and bring him home or like in all the stories, the magic will trap him forever. This is a fun book of friendship, stories, enchantment and adventure. There are connections to lots of different books and stories. What can happen when story and reality collide – sometimes it’s wonderful, but not always. 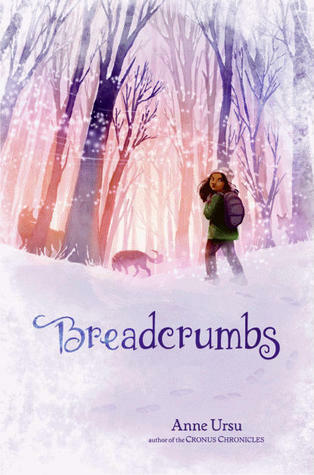 Have fun following the breadcrumbs into the woods. I hope the birds don’t eat them before you are ready to return. Liesel has been locked in the cold attic room of her house. Her conniving stepmother doesn’t want her around since her father passed away – she has designs of Liesel’s inheritence. Liesel sits alone day after day – sometimes drawing to fill her time. Her only companions are mice and shadows. Then one day Po — a ghost from the Other Side — emerges from the shimmering shadows. The two become friends and Po helps her escape the locked room to bring her father’s ashes home to rest with her mother by the willow tree. Soon they meet up with Will, an alchemist’s apprentice. 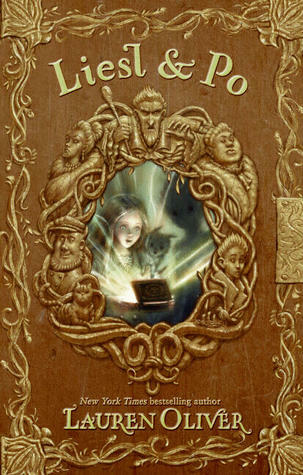 He inadvertently sets them all on a dangerous journey when he bungles his delivery and swithces the box containing the ashes of Liesl’s father with one holding “the Most Powerful Magic in the World.” Part ghost story, part fantasy and part fairy tale, Liesel and Po is a book full of characters you can care for and characters who satsifyingly get what they deserve. The story is full of descriptive and playful language. It would be a great choice for a read aloud. It is a powerful story – you’ll be sucked in right from the start.